Following the outstanding success of the ACE 400, the next generation higher capacity ACE 500 cotton pad punching and packaging machine was launched. 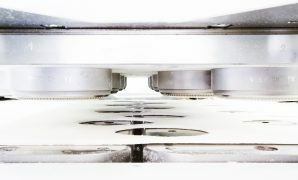 The ACE 500 is designed for the highly efficient production of one product size (such as 57 mm pads), while complete size changes can be carried out as well. This cotton pad punching and pakaging machine includes a higher number of punch dies and processes a web width of 500 mm, leading to a higher output when compared to the ACE 400. The ACE 500 can easily be transported as it fits in a container and enables fast installation and commissioning on site. The ACE 500 will produce and pack cotton pads of round, square or oval shapes. The ACE 500 replaces up to four manual systems and two machines can be operated by one operator. 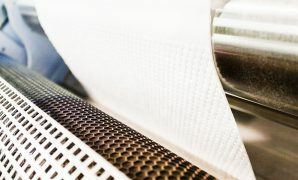 The ACE 500 processes a cotton web up to a width of 500 millimeters. Depending on the amount of cotton pads in one bag, it can fill up to 60 bags per minute. 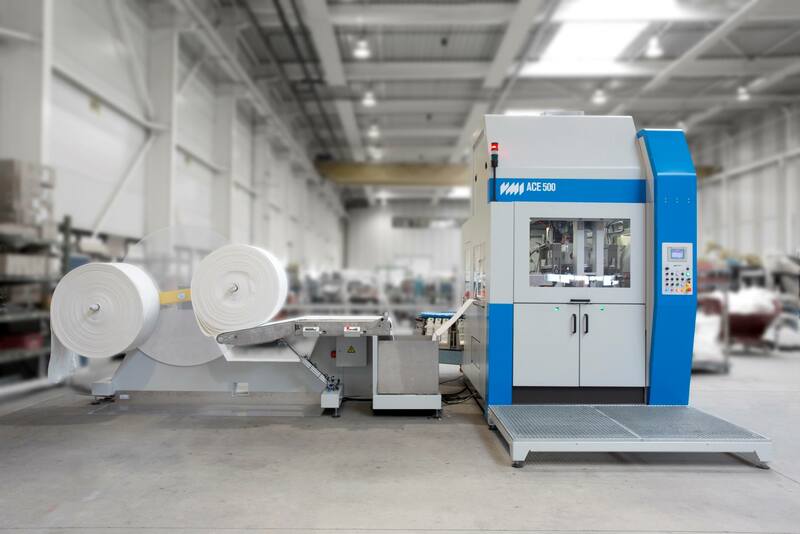 The ACE 500 is designed for the highly efficient production of one product size, while size changes can be carried out as well.